We are situated in Delhi (India) and have established a fine network with the help of which we ensure timely delivery. We have become a preferred choice of the patrons owing to our timeliness and client centric approach. Also, we are counted amid the well-known D2 Tool Steel Suppliers in Delhi. 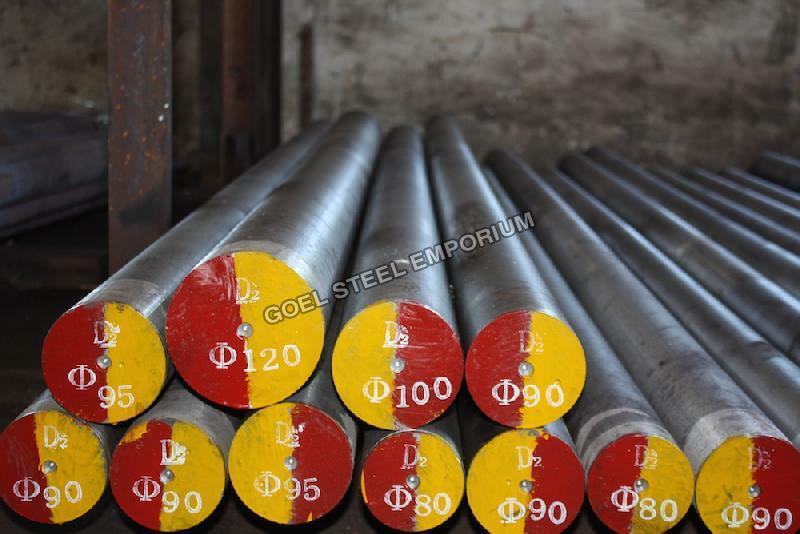 Characteristics : Our D2 is an alloy tool steel with high content of carbon and chrome. After heat treatment, it has very high hardness and abrasion resistance. This steel also features in high hardenability and good dimensional stability. It is suitable for manufacture of cold-work dies and thermoset plastic molding molds which require high precision and long service life. Pure steel quality due to vacuum degas refining treatment Superior cutting performance, due to spheroidal annealing softening treatment Crushed crystal structure bonded by forging and rolling, carbonized granules which are fine and even. So that there will be no cracking under quenching For special adding of reinforcing elements molybdenum and vanadium, both the avrasion resistance and toughness are better the similar steel grade. Application Deep-drawing dies and cold extrusion dies,Cold forged dies, thermoset resin molding molds.